Today is Sunday and I managed to complete my domestic chores by lunchtime and so headed off to the river for a spot of hydrotherapy. When I arrived at the river the place was full of locals paddling, throwing stones, building stone dams in the water or just hanging out. Of course all this commotion is not likely to improve the fishing but I figure I have no more right to this place than anybody else. It was just a question of finding a little undisturbed water. Spanish people are great. They are gregarious and friendly, and everyone I spoke to wished me well or just enquired a little about the fishing on the river. 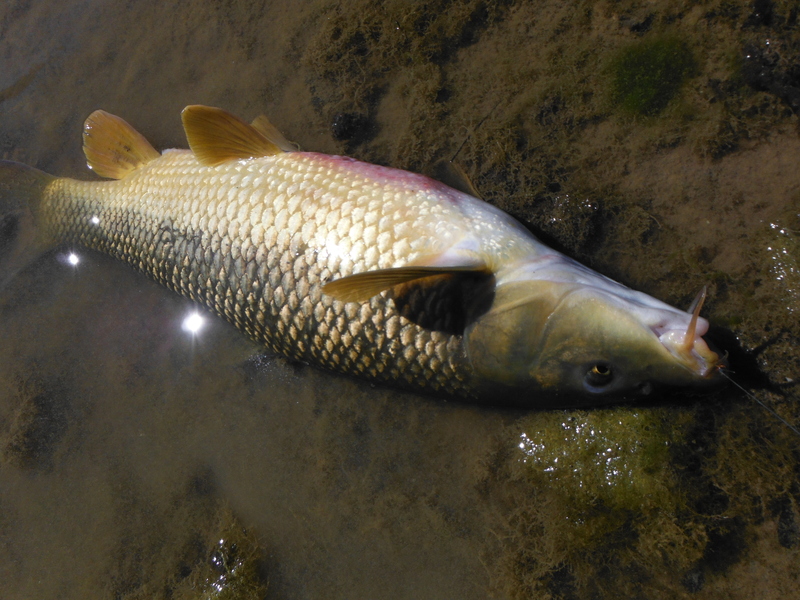 Many ask about what kind of fish are in the river and the one thing everyone seems to want to know is whether I keep the fish. When I tell them that I return everything, I get that look which suggests that they regard me as a nice enough guy but just a little odd. The fishing turned out to be pretty good. I had my first couple of fish only about 20 metres upstream of a few groups of people and their parked cars. Then another fish tore across the river and deposited my nymph in a submerged branch. 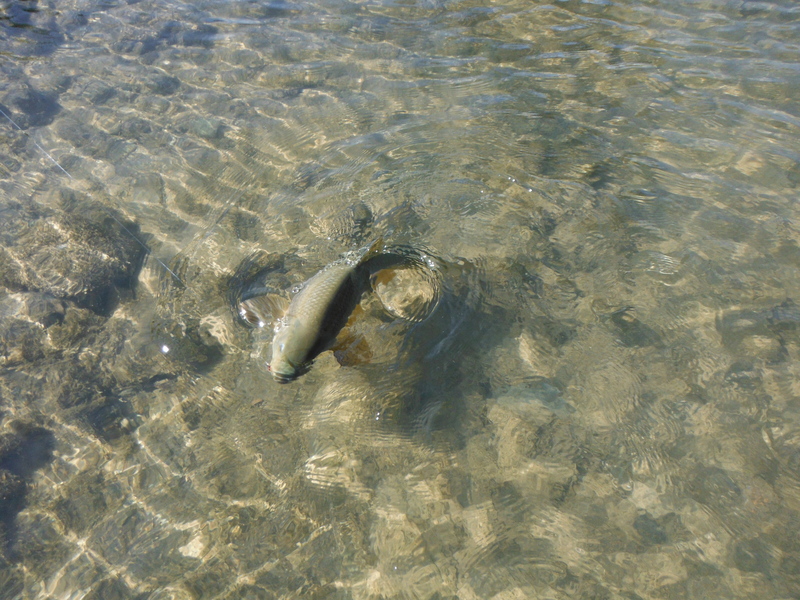 I could not retrieve it without putting down most of the fish in this shallow pool and so decided to continue upstream. Much of the river was empty of fish but before long I arrived at a promising pool, at the head of which I hooked a barbel almost straight away. Unfortunately I could not prevent it reaching a prominent snag and it broke me. 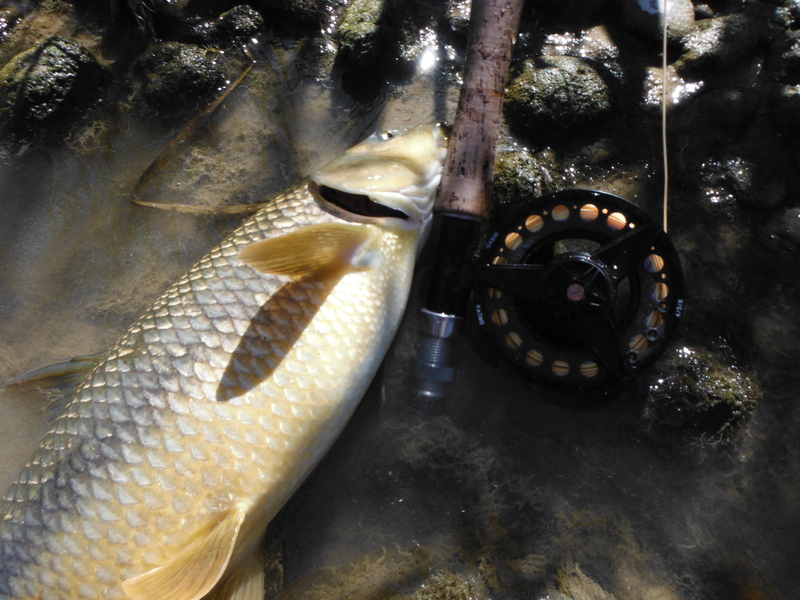 I continued to fish the head of the pool with the strongest leader I felt I could get away with – 10lbs 0.25mm. The fish were not put off and I managed to bully a couple away from the snag and beach them in the quieter water further downstream. 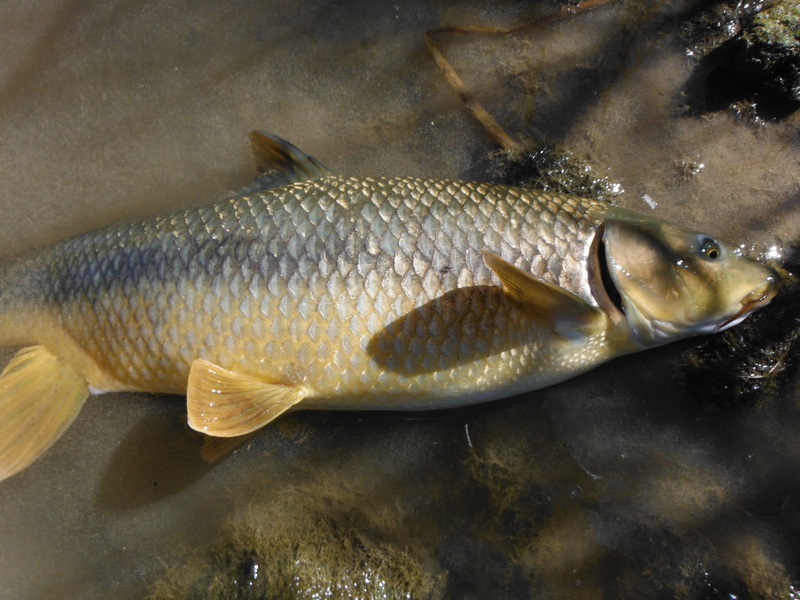 I notice that some of the barbel are showing a kind of red pigmentation on their bellies. 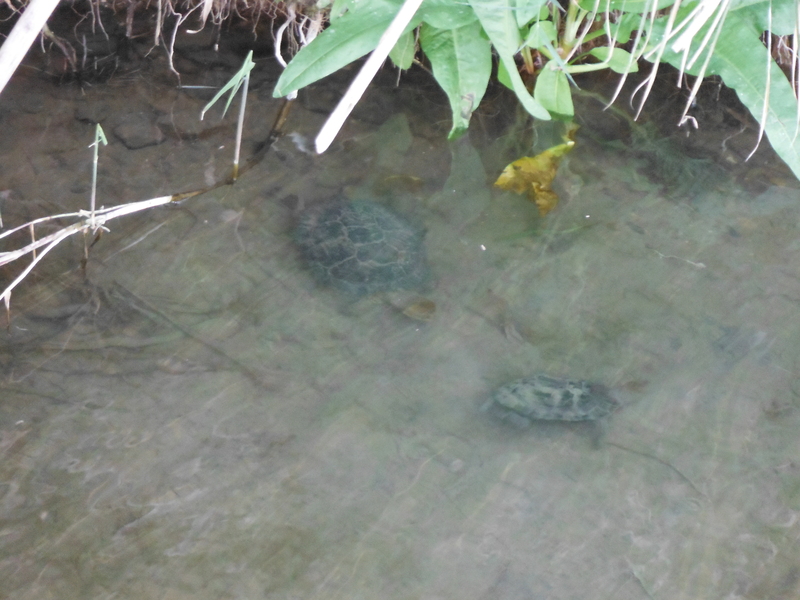 I wonder if it could be related to their spawning which, Norman tells me, will happen next month. 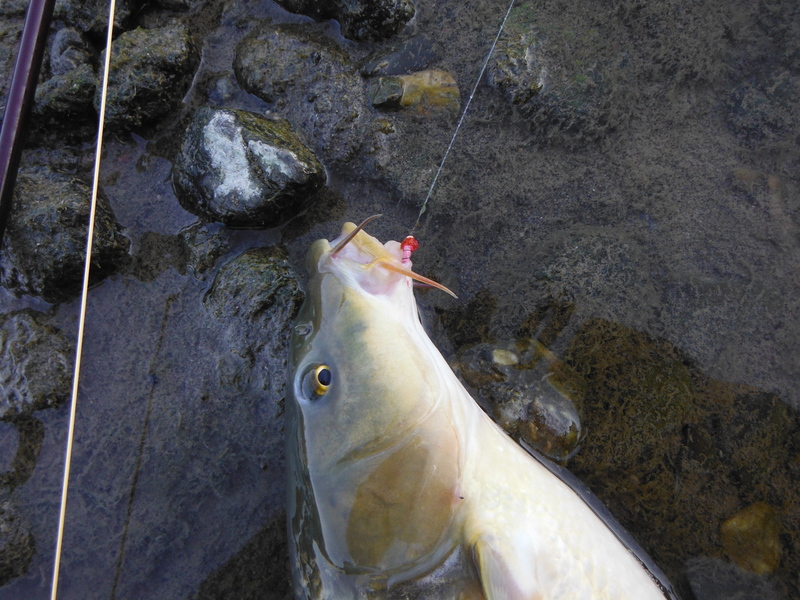 Here are a few snaps of some of the lovely gypsy barbel.